Are You Interested in Scheduling a Visit? Give us a call or send an email to schedule a visit of our terrific, home-like, super personal program. Come by soon though to learn more about our school year program. There is limited space available so don't hesitate! Please remember to check local news for school cancellations due to inclement weather. 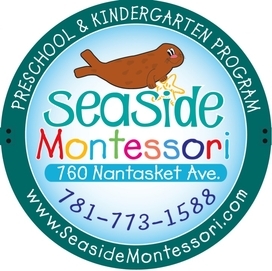 Seaside Montessori follows the Hull Public Schools for cancellations.